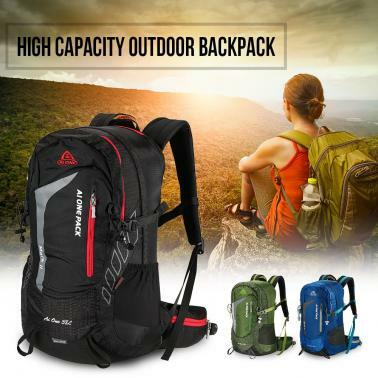 This high capacity bag with multiple adjustable straps for travel gear and various separators design to organize your items is really a perfect choice for outdoor camping, hiking, and climbing. 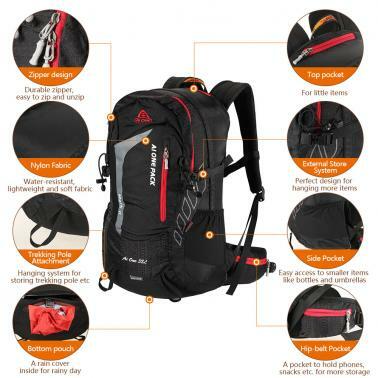 Tear-resistant nylon 38L capacity and the bearing capacity is about 15KG. Pocket rich design provide enough room no matter if it's a day trip or a week-long journey. Two convenient separators in the main compartment to help organize everything for your trip, the top and front pockets and waist buggy bag are good for holding small items for easy access, the mesh side pockets for holding your bottle and umbrellas. 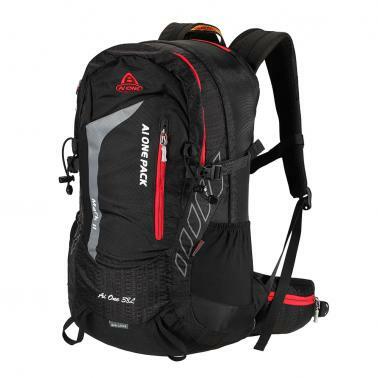 Metal frame provides a sturdy support while the back-ventilation system provides excellent airflow to help keep you back cool and dry, the padded shoulder straps and waist belt for comfortable and long time carry. Sternum strap prevents slip while running and an emergency whistle on it is to ask help when in danger. 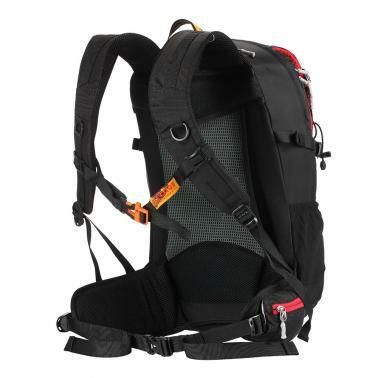 Multiple adjustable straps for attachment slots carrying tent, hammock, sleeping bag, trekking poles and other gear for trip. Come with a rain cover to protect your backpack from rain.